I was recently given River Cottage Handbook: Cakes by my good friend C.
So it was a 'whoop-whoop-yeah!' 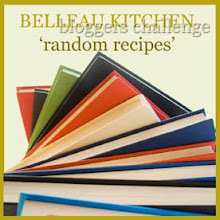 as I turned to this month's brilliant Random Recipes Challenge: a random recipe chosen from your most recently gifted recipe book. 'River Cottage Handbook: Cakes'? Your time to shine. It's a lovely book, lots of hints, tips and more traditional bakes. Rhubarb Pudding Cake, Vinegar Cake, Somerset Cider Cake and Toffee Apple Cake all make an appearance. None if your fancy-pants cupcakes or cake pops here. I unveiled the Random Recipe Thumb Generator. Or in other words, flicking through the book with my thumb and with my eyes closed. The God of Random Recipes (that'll be you, Dom off of Belleau Kitchen), can't have a terribly sweet tooth. Both last month's courgette cake and this month's chosen recipe are bloomin' healthy for cakes. But, the Thumb Generator has spoken, or thumbed. Fruit, Nut and Honey bars, coming up. In any case, my twisted logic reckons that the healthier the cake, the more slices you get to eat. I'm not one to complain about that. In the Handbook, these are described as the perfect energy bars- 'an energy dense, sustaining, mini meal' to be more precise. Do you reckon they still count as energy bars if I'm eating them lying prone on the sofa, feebly shouting 'Go Tim! Um, I mean Andy!' at the Wimbledon tennis on the television? They are dead easy to make and you can select your own favourite berries, nuts and dried fruit. For example replace the cranberries and gojiberries with dried dates. Or replace the walnuts with almonds or hazelnuts. I accidently (watching the tennis you see) left mine in the oven for about 10 minutes too long, hence the 'burnished' look! I think these look lovely - as does my husband who peaked over my shoulder and wanted to know if I was planning to make some for him. Healthy maybe, but they sound good to me. I nearly made them the other day (I couldn't wait to be given this book and bought it myself :-S) for a beach party but in the end made Dan L's halva flapjacks instead. Haven't yet made anything from the book, but am keeping it close to my bedside table so I get plenty of sweet dreams. Hmm, seen a couple of recipes I'd like to make from this book. I was trying to be strong and resist, but I think you've broken me! They look great, and I'm sure they must count as part of your 5-a-day! Know what you mean about the bird feed!! These bars are so healthy that you could eat your fill and then have a cream bun and still feel virtious ... or is that just me!!!! !